As the year falls over like a worn-out clock chucked in a bin, Ears For Eyes looks back over 2017 at its favourite releases. For sheer skull-flipping madness, this release was hard to beat. Arising from a gig played in Leeds, the two, after realising they had not played together as a duo in 15 years, decided to play “songs” but set a few rules by which they would create them. They selected one instrument each: Neil Campbell picked a Casio, with Richard Youngs opted for violin. Six songs were then composed without the other’s input. Six scores were then written for each other, so the lyrics of each artist would go over the score of the other. Recorded independently, the songs were then mixed together; through this method any interplay between the musicians occurs purely by chance. Six Scores is the resulting document and contains a writhing mass of wriggling, clashing noise and noodling, muttered vocals and babble wafting off the top like smoke out of a tall, teetering chimney. Time Attendant transmits again from the haunted clattering junkshop where his music is presumably created. More analogue electronics from the edge of absurdity. Kids tv themes mashed into bubbling test tube sonics, video game intro tunes corroded by caustic fumes. Confused voices drifting into and out of the scene, perplexed at their inclusion. The tunes here are slightly more concise and focussed than previous releases from Paul Snowdon, but the exploratory process and sharp unexpected tangents remain. This tape is a two-part ooze of sick mouldy tape loops. Fibrous and deceptively delicate REM swirls. Evoking the deep still night, the part where even the foxes sleep. Snatches of bird song sound sarcastic; life-sounds in a desolate, airless space of eerie dryness. The whole thing slithers along with a creaking progression. Its fuzz and ringing tones often cut momentarily as the tape ribbon makes a tired lunge over a mossy head. A further refinement of Kemper Norton’s art, the electronics and voice of Hungan address the story of ‘Cruel Coppinger’, a semi-legendary menace of the the 18th century North Cornish coast. An interzone of the ancient and modern, Kemper Norton’s music is a folk tech-memory, full of beautiful misty drone, twitchy rhythms and poignant tales. Aaron Dalloway’s latest is a mind swallower. Where to begin? All is wonderful confusion. ‘The Gag File’ is an absurd uncanny circus of an album. Disturbing but completely absorbing – each track a nauseous throbbing buffet of terrible strangeness. The yawning hell mouth on the tape cover gives you a rough idea of what to expect with this one. Split between Bir (aka Larry Crywater / Maurice’s Death Hotel) and Stapperton, the two artists share your mind in the way some sort of toothed space worm might portion out your unfortunate and slowly imploding cosmic freight lorry, peristalsis-like down their collective void gullet. Aggressive and harsh but also nuanced and fascinatingly textured, a section drifts into what café/bar background clatter might sound like in a fire, if everyone just carried on regardless. Elsewhere: creaks, engine thrums, birdsong and echoed under-bridge ghost voices. Field recordings of dogs enduring/enjoying fierce wall-noise. Enveloping fuzz and rumble from an urban jumble-sale. ‘How does a city decide who belongs on its streets?’ is asked at the beginning of Stranger by Joanne Pollock, the Canadian artist’s debut full-length album. The idea that you can wander a city’s streets but not ‘live’ on them, the experience of being lonely and emotionally dislocated from your surroundings and the people in them, is at the core of this album. The machine-precision of Joanne Pollock’s music is effectively paired with warm throbs of bass and neon-bright synth-smears. Beats employed as pops, clicks and claps. Pollock’s vocals weaving deftly through the rhythms but occasionally left unadorned, sitting as isolated and lonely as the lyrics. High-points are many but few recent albums heard by Ears For Eyes have opened with tracks as immediately involving as Carnival and Melt Myself. On ‘Self-identified non-male artists making experimental electronic music,’ Hyle Tapes has collected together a compilation of 34 female and non-binary artists producing amazing work from synthscapes and lush ambient hum to surreal rusting percussion loops. It’s a shame that the gathering together of these non-male acts for a compilation feels like a political act. This collection perfectly disputes lazy male-heavy festival line-ups and club-nights. It is also a wide seed-bed for your musical imagination. A base for further investigation. 34 destinations on a much larger map. Sharon Gal is a commanding presence throughout this album, her vocals frightening but not dominating. The non-vocal sounds are every bit as nerve-poking. Andie Brown’s music is a fertile soil for her musical partner, working with variously sized glasses, filled with water, resonated and manipulated with electronics. Mami Wata is a work of deep spookiness. The electronic manipulation of Gal’s voice stretches her throat into meter-long ribbed tubing capable of plunging bass purrs and sudden tape reversals. Field recordings of passing planes and seagulls overlay a skein of normality over the frightening and surreal decrepitude of the other sounds. This compilation of Front & Follow affiliated artists celebrates ten years in operation for a label that has put out consistently brilliant releases across an eclectic range of music. From the place-excavating violin dialogue of Laura Cannell to the magical breezy sway of Sone Institute, this collection is a comprehensive introduction to a group of artists who you should really get to know. With an opening like Cthulu tuning some bagpipes, Molar Wrench, a collaboration between Dead Neanderthals and Sly & The Family Drone, announces its intentions from the off, namely to lay ecstatic waste to its listeners. A lethally fruitful copulation. A total music; the bands’ respective ingredients, free-jazz skronk and rumbling avant noise, baked into a delicious fire-cake. Think Away by Delphine Dora (piano) and Sophie Cooper (trombone) is magical in an ambiguous Studio Ghibli sort of way. 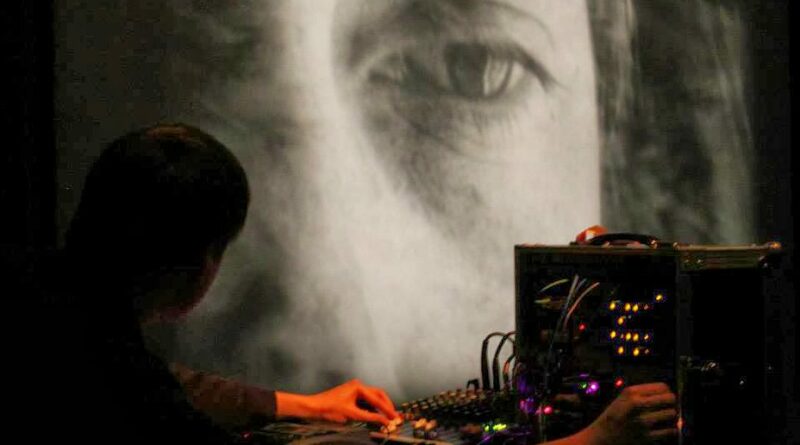 Their music captures a sense of the uncanny that is on the border between menace and wonder; a Leonora Carrington reading would benefit from a live improvisation from these two musicians. A blurred dream logic persists throughout: the improvisations often wobble like rickety scaffolding, collapsing and blancmanging into a richly rewarding fusion of inventive and welcoming music. Sometimes sounding ritualistic, but without dogma or scheme, like they’ve no idea what they’re summoning or why, just pulling the curtain back inquisitively. Minimalism, drone, stabbing atonal noise, buzzing textural examination, sawing riffing repetition, communal folk warmth, fluttery classicism; these diverse elements are ground into fantastic and exciting shapes by Ailbhe’s viola playing on this, her debut solo release. The tunes are beautiful, picked out hesitantly, tangents explored, main routes returned to. Concher does this with perfection, a melding of forward thrust and slamming-the-brakes-on stops to turn over a particular gesture for closer inspection. This sense of curiosity is another quality of Oreing: ideas are flipped, frowned at, tossed aside, adopted with enthusiasm. This is music alive with constant creation and ever renewing possibility. Oreing has found an ideal home at Fort Evil Fruit, a label that offers a consistently interesting stream of releases across an eclectic spectrum of sound; this release is one of their very best. Bridget Hayden is a member of a number of outer-limits ensembles, including Vibrocathedral Orchestra, but here presents a solo tape on Fort Evil Fruit mostly made with synth and voice but with the addition of guitar at points, especially during a beautifully bleak stumbling coda. The burnt psych of Yellow Swans can be detected in Hayden’s voice intoning who-knows-what, seemingly through a broken megaphone at the bottom of a well full of cooling ashes. The arid burnt synths spring forth shoots and curls of bass tendrils, looping back on themselves and flowering into licking tongues of rhythm like the green shots of predatory otherworldly flowers. The song titles evoke the rain but it’s hard to imagine any water surviving for long in the radiation buzzing off these electrical fire-ballads; every one a low throbbing bluesy ode to heat and baked circuitry. Describing themselves as a ‘liberation-oriented free jazz collective’, Irreversible Entanglements have produced this blog’s album of the year. Camae Ayewa (aka Moor Mother) adds blisteringly angry words and vocals to a quartet of awesome musicians, blasting out some of the most exciting music of recent times. Railing against oppression in the form of slavery, violence, racism, homelessness and many other ills, Camae Ayewa sets out a number of ailments infesting the United States over a fire-music so heated it leaves the listener blistered. “Everywhere the same issues stacked on top of each other”, the poison of the mounting injustices a weight swung at the listener. In Projects, the album’s final track, the band have made something heartbreaking but full of resistance; art as activism or vice-versa, a classic, nightmarish piece of work, documentary and all too real for too many people. 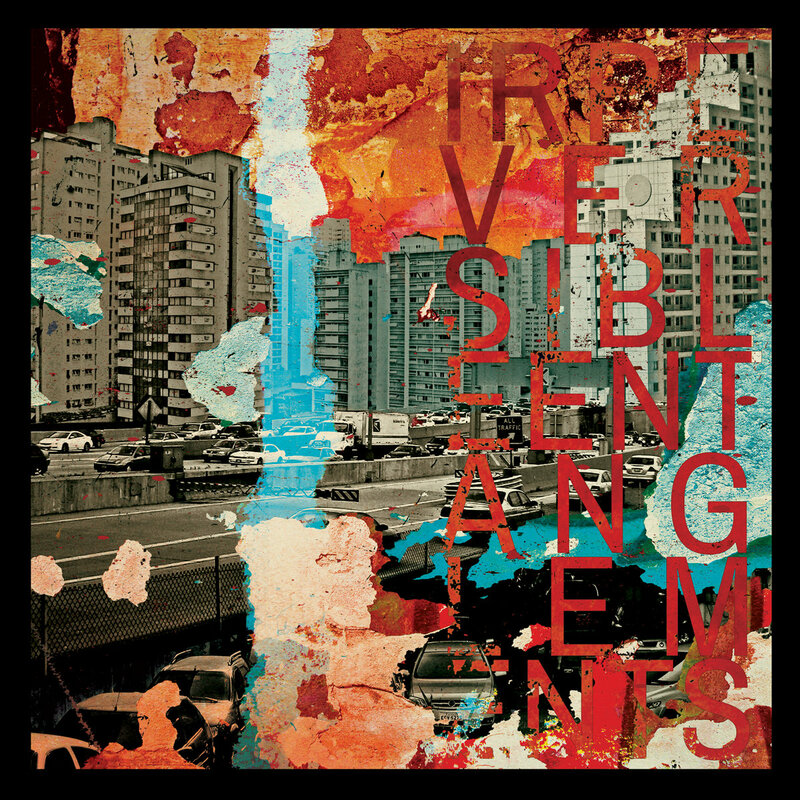 Irreversible Entanglements have made an unforgettable album, one that literally screams ‘enough’ in words and urgently vital music, an essential artefact of the times we’re living in.